Try a few of these practice problems on solving proportions. Move on when you feel ready. 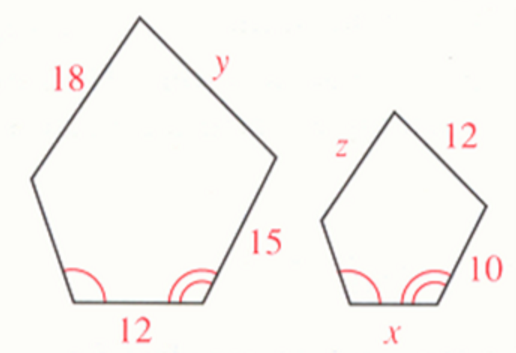 Try a few of these more challenging practice problems on solving proportions. Move on when you feel ready. I've completed the Khan Academy practice above and feel confident in my ability to solve proportions. 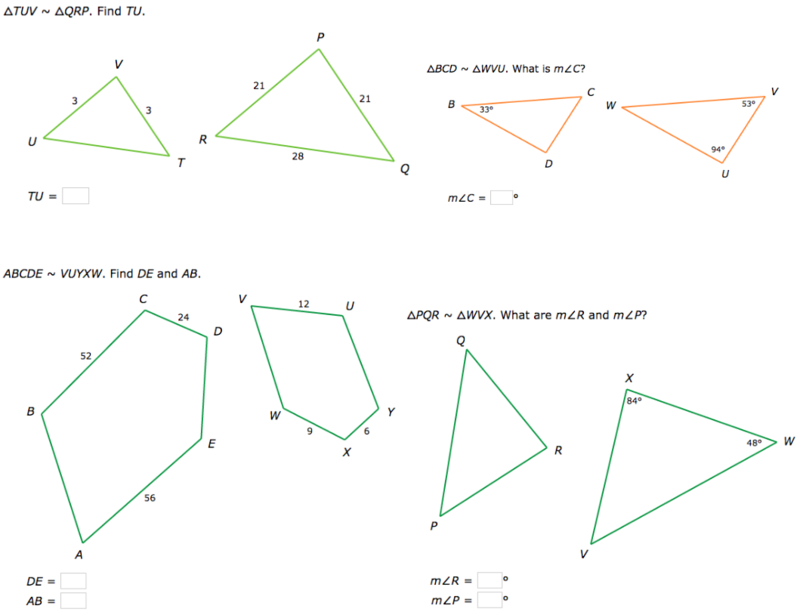 I've completed the video or mini-lesson introduction to similar polygons, and taken good notes. I've completed the video or mini-lesson scale factor example. I've completed the video or mini-lesson example using scale factor to find missing values in similar figures and taken good notes. I've completed the video or mini-lesson on finding the ratio of the perimeters of similar figures and taken good notes. Two equilateral triangles are _________ similar to each other. 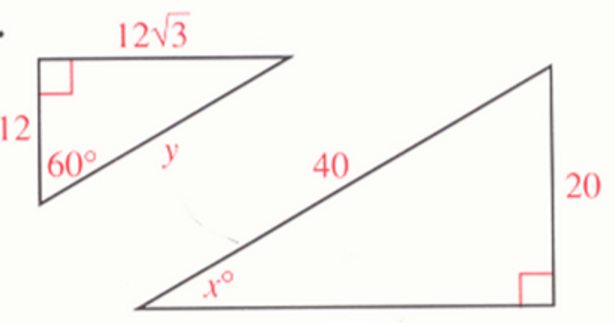 Two right triangles are _________ similar to each other. Two scalene triangles are _________ similar to each other. Two rhombuses are _________ similar to each other. Two regular hexagons are _________ similar to each other. A right triangle and an acute triangle are _________ similar to each other. 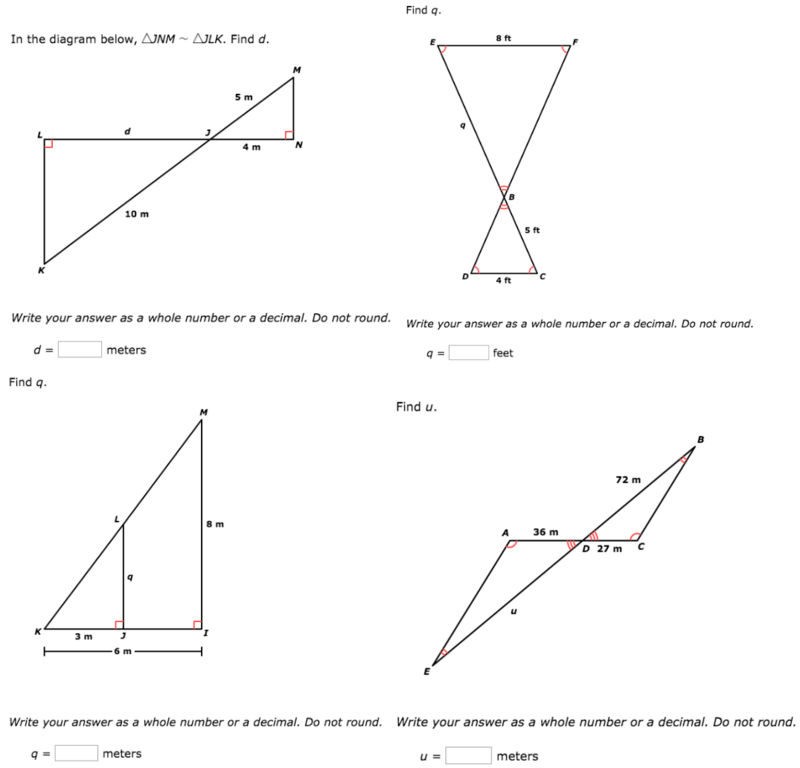 What is the scale factor of quadrilateral TUNE to quadrilateral T'U'N'E'? What special kind of quadrilateral must T'U'N'E' be? Two similar pentagons are shown. Find the value of x. Two similar pentagons are shown. Find the value of y. Two similar pentagons are shown. Find the value of z. Two similar triangles are shown. Find the value of x. Two similar triangles are shown. Find the value of y.